Coaching soccer is a job that comes with many responsibilities and challenges. The job goes far beyond teaching the sport and winning matches. Coaches have the opportunity to be tremendous influences in young people’s lives. Great coaches use their platform to teach the value of teamwork, hard work and goal setting. They demonstrate discipline and demand without being demeaning. 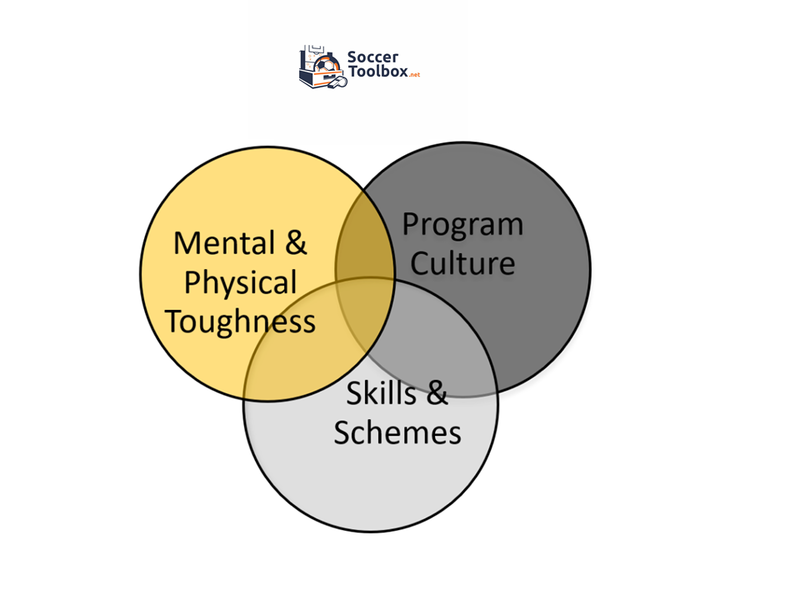 The Soccer Toolbox is designed to help coaches with their many tasks and responsibilities. Many coaches are coaching because they have a wealth of knowledge about their sport. Others are coaching because the team needs a coach and maybe to played a little in high school. Regardless of your experience, good coaches are the ones that are always learning. We have collected many helpful resources from a lifetime of coaching and from many well respected sources. By sharing those ideas with you, It is our hope that we can provide you with resources that can help you develop your program they way you have envisioned. You can expect to find tools to help you develop individual fundamental skills like: dribbling, passing,receiving, tackling, heading, goalkeeping, throw ins, corner kicks, shooting (finishing). We will also provide drills to help you teach your team how to attack, defend and transition. We will share ideas from a variety of successful coaches on the strength and weakness of various tactics.